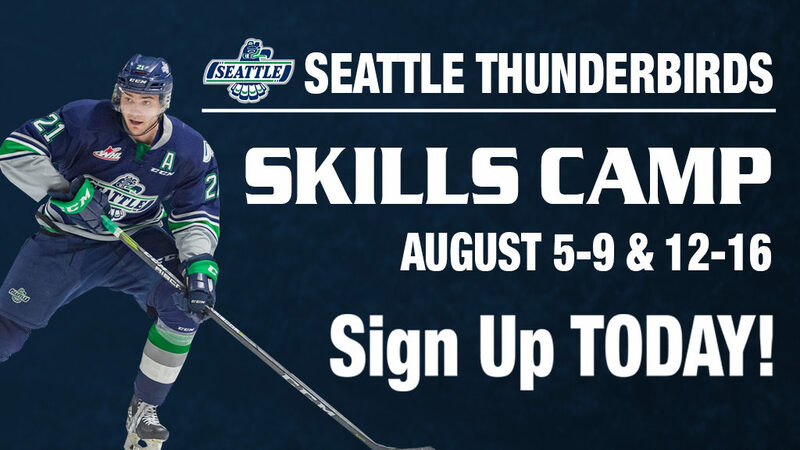 The Seattle Thunderbirds and Tribune Broadcasting Seattle announced October 23 they have partnered to broadcast eight games between the T-Birds and Portland Winterhawks during the 2018-19 season. All eight games will be broadcast on JOEtv Channel 22/Cable 110 with four games from accesso ShoWare Center and four games from Portland. All four of the games being broadcast from accesso ShoWare Center start at 6:05pm. The first game on the broadcast schedule is the game on Saturday, November 17, at 6:05pm at accesso ShoWare Center. The last two games on the JOEtv broadcast schedule are the last two games of the season for both the T-Birds and Winterhawks. These could be important games for both teams as they battle for playoff position in the very competitive US Division and the Western Conference. Veteran WHL play-by-play voice Ian Furness will have the call for the broadcasts. JOEtv is the Seattle/Tacoma My Network TV affiliate broadcasting on channel 22 and also available on Comcast Cable 110. JOEtv carries a variety of sports and entertainment programming including Sounders FC matches. In addition, JOEtv is home to the weekend edition of Q13 News This Morning on Saturdays and Sundays from 7am – 11am and Q13 News at 9 every night. For more information visit www.q13fox.com. T-Birds single game tickets for the 2018-19 season are currently on sale online on the T-Birds website and at the accesso ShoWare Center box office.